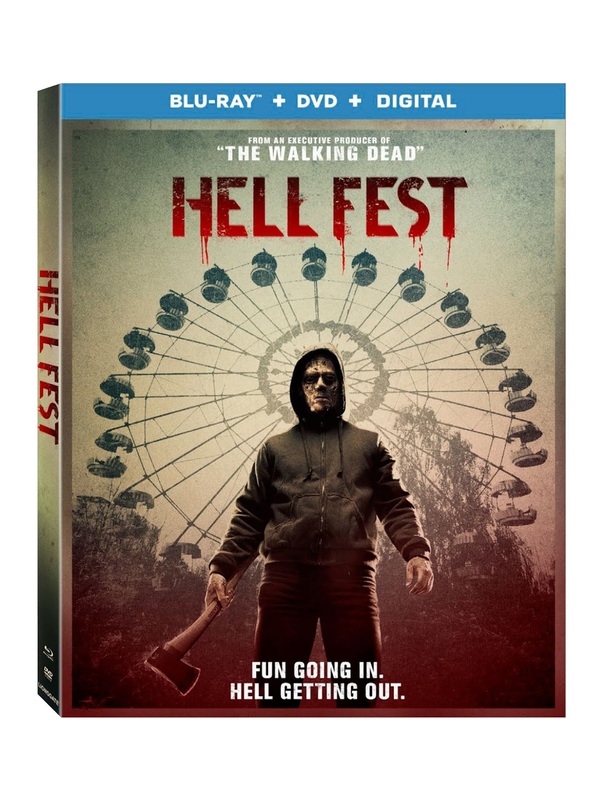 Lionsgate Home Entertainment and CBS Films recently released DVD and Blu-Ray information on their latest release "Hell Fest". The film stars Amy Forsyth (TV’s “The Path,” “Rise,” “Defiance”), Reign Edwards (TV’s “Snowfall,” “MacGyver,” “The Bold and the Beautiful”), Bex Taylor-Klaus (TV’s “Scream: The TV Series,” “Arrow,” The Last Witch Hunter), and the legendary Tony Todd (Candyman, Night of the Living Dead, The Crow). Special features on the DVD and Blu-Ray includes “Thrills and Kills: Making Hell Fest” Featurette and Theatrical Trailer. "Hell Fest" hits VOD on December 28th and retail on January 8th.